Hyderabad: Lions Clubs International announced its first LCI Con in India that will coincide with celebrations of 75 years of Independence in 2022. LCIcon 2022 will be one of India’s biggest ever international conventions in which more than 35,000 Lion Members are expected from more than 120 countries. The announcement was made by Lion Dr. Naresh Aggarwal, First Vice President, Lions Clubs International – an Indian who takes charge as the 101St Worldwide President of Lions Clubs International from July 2017 – in presence of Dr. Mahesh Sharma, Union Minister of State for Culture & Tourism, Govt. of India. Expressing his joy on the occasion, the next Lions Clubs International Worldwide President Lion Dr. Naresh Aggarwal, said, “It gives me immense pleasure to announce not only the first ever LCIcon 2022 in India but also one of the biggest international conventions in India.” Tourism worth USD 50 Million during four days and much more during pre and post trips of visitors in India is expected. Indira Gandhi Stadium, Pragati Maidan (ITPO) & All 5 star hotels in New Delhi have been booked well in advance. General Managers and Administrator of all 5 Star hotels and related government bodies were present at the conference. Among other prominent guests present were Ms Madhu Dubey, Executive Director- ICPB, Ms Manjushree Roy, Director- IGSC, Mr. Shaoo S.R, GM- ITPO and Mr Samir Kalia, MD, Gets Holidays. Gets Holidays is the event and travel partner for the event. Dr. Aggarwal also shared his vision for India, and added “There will be high focus on social welfare activities in India for the next 5 years. Scientists say 70% of our memory is visual memory and by age of 7 years problems related to sight become permanent. It is this insight which has led us to a pledge to scan more than 5 crores kids for eye sight problems in coming years. We are importing equipment from Germany for the same which needs no technical assistance and can scan in less than a minute.” The demo of these machines was available during the conference. “Apart from Kid sight India, we will run campaigns for vaccination and eradication of measles and rubella for kids, programs of kidney ailments and dialysis treatments, diabetes awareness programs, and other environment, health and youth related events,” he added. Lions Clubs International (LCI) is the Global Leader in Humanitarian services. 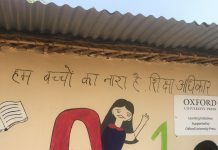 Bodies of high repute like the Aruna Abhay Oswal Trust, Mannapuram Finance, State Bank of India, Coal India Ltd., Bill & Melinda Gates Foundation, GAVI, Carter Foundation, Johnson & Johnson, Ecillor are working in collaboration with Lions Clubs International. 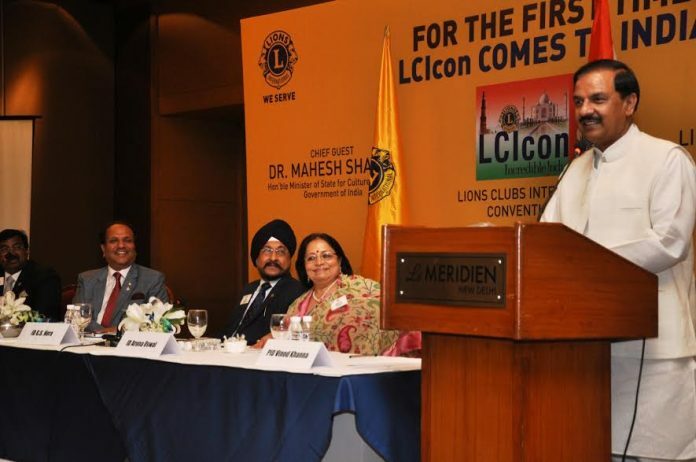 Lions Clubs International Convention – LCIcon2022 is being held For the First Time in India, in LIONS 100 year’s history. Lions Clubs International has presence in 210 countries with 13,74,000 members. In India there are 227,000 Lion Members who through 6400 Lions Clubs are working in the area of Vision, Healthcare, Environment, Youth and more. LCIcon2022 will coincide with India’s 75 glorious years of Independence.